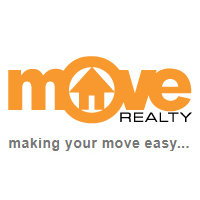 Move Realty Wentworthville Your Local Real Estate Agent Move Realty Wentworthville, Your Local Real Estate Agent founded in April 2013, is like all the best characters in the greatest stories - born of humble beginnings. Located in the most highly visible hub of western Sydney suburb of Wentworthville, the team at Move Realty offers its services as your local Real Estate Agent. As a your local Real Estate Agent, Move Realty Wentworthville is ever ready to assist you with the sale of your home or managing your investment property. Move Realty has achieved excellent results in the sale of residential as well as commercial properties in and around the area. With a strong professional and experienced team, Move Realty is determined to provide a seven star service to its clients in Wentworthville and it's surrounding suburbs.